We are valve casting suppliers and manufacture Industrial Valve Castings that are effectively used as automobile components. These industrial valve castings act as regulatory devices for substances like gas, liquid etc. 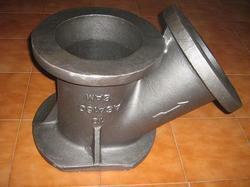 Valve body castings are made from quality raw material such as mild steel, stainless steel, castings, SG iron etc. and have varied applications in different sectors such as military, transportation and residential areas. Our range includes industrial valve castings, butterfly valve castings, globe valve castings, ball valve castings, gate valve castings, swing check valve castings, control valve castings, knife edge gate valve castings, plug valve castings and strainer castings. With a competent team of personnel, we are able to deliver a wide range of Knife Gate Valve Castings. 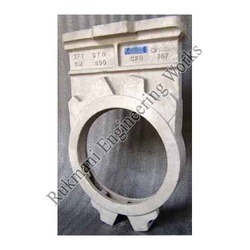 This range of knife gate valve castings offered by us is manufactured using superior grade CS, SS, alloy steel and allied material in adherence with the international quality norms and standards. These products are appreciated among the clients for their durability, corrosion resistance and allied features. End connection: Flanged end, full lugged wafer flangeless, two lug wafer flangeless, flange type wafer. Manufacturer, Supplier, Distributor, Trader and Exporter ofKnife Gate Valve Castings in Coimbatore, Tamil Nadu, Karnataka, Andhra Pradesh, Kerala, India, North India. Pressure rating: ANSI class 150 – class 2500, DIN class PN16 – PN 400. 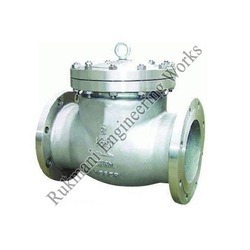 Manufacturer, Supplier, Distributor, Trader and Exporter of Swing Check Valve Castings in Coimbatore, Tamil Nadu, Karnataka, Andhra Pradesh, Kerala, India, North India. Manufacturer, Supplier, Distributor, Trader and Exporter of Plug Valve Castings in Coimbatore, Tamil Nadu, Karnataka, Andhra Pradesh, Kerala, India, North India. We are readily engaged in delivering a superior range of Plug Valve Castings. 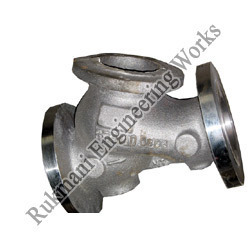 These plug valve castings offered by us are manufactured using superior grade raw material and latest machinery in strict adherence with the industry laid norms and standards. In addition to this, the offered range is widely applicable in automobile, engineering and allied industries. Manufacturer, Supplier, Distributor, Trader and Exporter of Strainer Castings in Coimbatore, Tamil Nadu, Karnataka, Andhra Pradesh, Kerala, India, North India. To fulfill the emerging requirements of esteemed clients, we are engaged in offering a superior range of Strainer Castings. 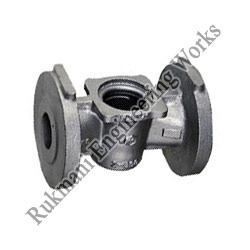 This range of strainer castings offered by us is applicable in heating and cooling systems, pipeline carrying water and other liquids and in various machines. Along with this, the offered range is utilized ideally for perfect seating of elements, NPT or BSP threaded connections. This range is offered with blow off plug and is replaced by with ball value for cleaning & flushing. Looking for Industrial Valve Castings ?